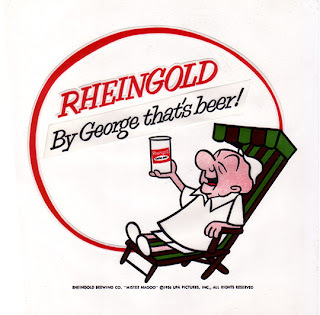 In readying the 50th anniversary edition of the book, I did a little more research into the facilities where Mr. Magoo's Christmas Carol was recorded-the dialogue, the songs and the score. In the first edition, I had chased all that information down, even to looking for the vaults where the recorded material might have been stored. This time I was more interested in the recording facilities themselves and briefly considered adding images of the studios to the book while providing a little more history on the places. Unfortunately, inserting this material proved disruptive to the narrative flow of the book so I decided to post it on the blog. 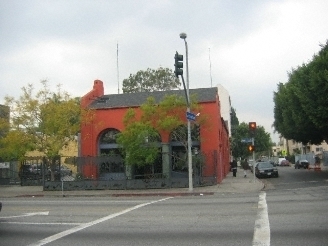 The dialogue recording sessions were done at 1161 Vine Street in Hollywood at Ryder Sound Services. 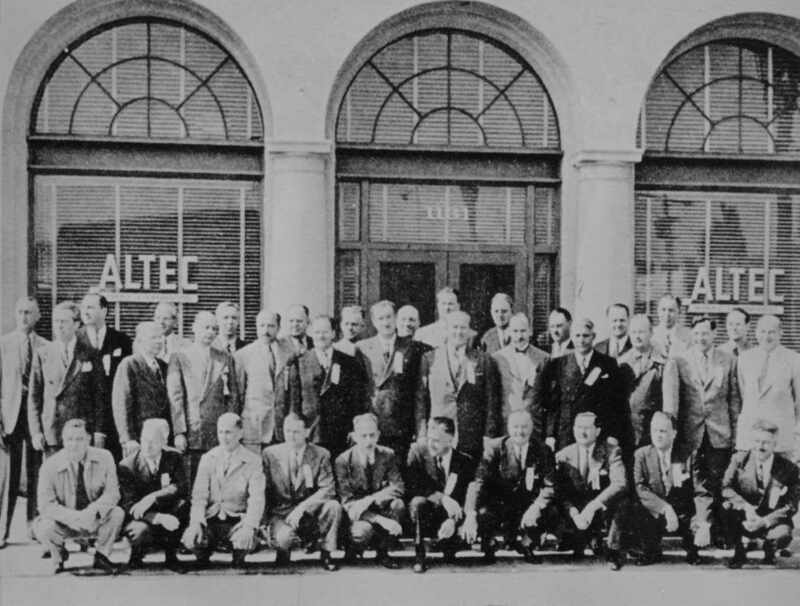 Prior to serving as a recording and post-production studio for Ryder, the facility was the Hollywood headquarters of Altec Lansing, a pioneer in the field of recorded sound with an impressive list of accomplishments in the industry. However, they were best known for providing and servicing sound systems for motion picture theaters. They also helped promote professional quality sound systems for home use or, as it was known during the 50s, hi-fi. Photo from 2009, facade has since been covered by vegetation. Loren Ryder took over the facility after leaving his job at Paramount after a 20 year association. 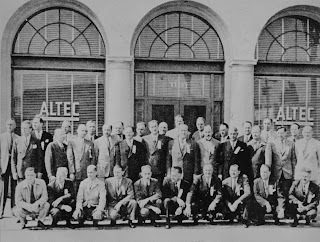 Ryder, was a true engineering pioneer in the field of motion picture sound, helping to develop and usher in the era of magnetic tape. Along the way, he won 5 Academy Awards for his work in motion pictures. He had started his own business in 1948 but continued to work for Paramount until 1957 when he left for good. Ryder’s reputation made the facility a highly regarded one, and his operation was kept busy by the then burgeoning business of TV production. For decades, this building was home to entertainment sound engineering history. Although UPA had a recording studio, as with many of the pre-production aspects of Mr. Magoo's Christmas Carol, Orgel went for the best, booking his dialogue sessions at Ryder Sound Services. The late Laura Olsher recalled that between the day's sessions, the actors went upstairs for lunch at a place called The Grapevine. I have not been able to find corroborating information regarding the restaurant but I have no reason to doubt her memory. 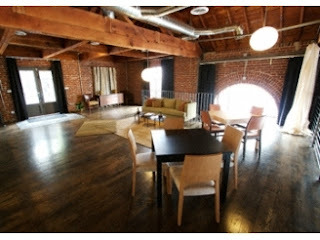 A real estate listing from a few years ago shows a loft, which would have been the eatery in its heyday. At the time of the recording sessions, the building still retained its old LA charm. Since then, it has seen a a variety of uses, and has lost some of its original appeal, being painted a deep red with vegetation allowed to obscure its façade. It’s currently home to Stereo D, a provider of 3D conversion services to the motion picture industry. 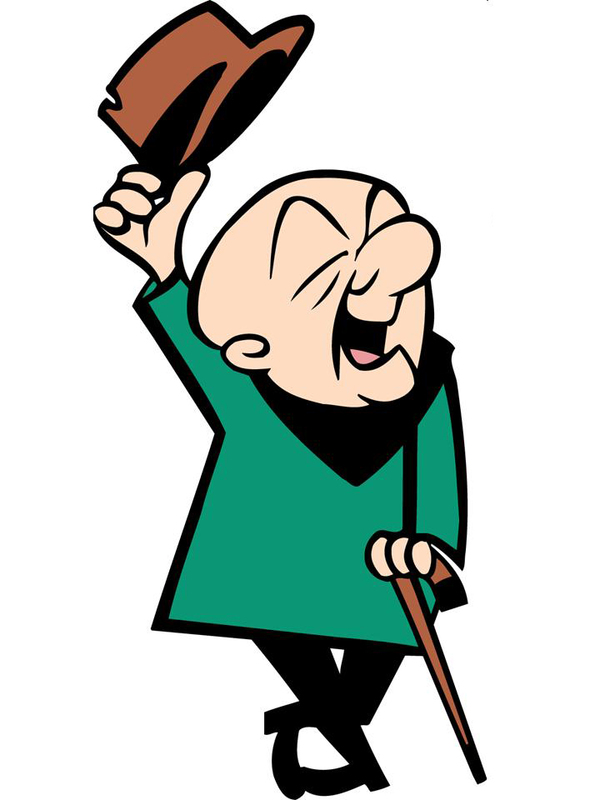 Followers of this blog will recognize the name David Weidman as one of the background painters on Mr. Magoo's Christmas Carol. David will be having a showing of his stunning serigraphs tomorrow evening at The Animation Guild at 1105 N Hollywood Way in Burbank. 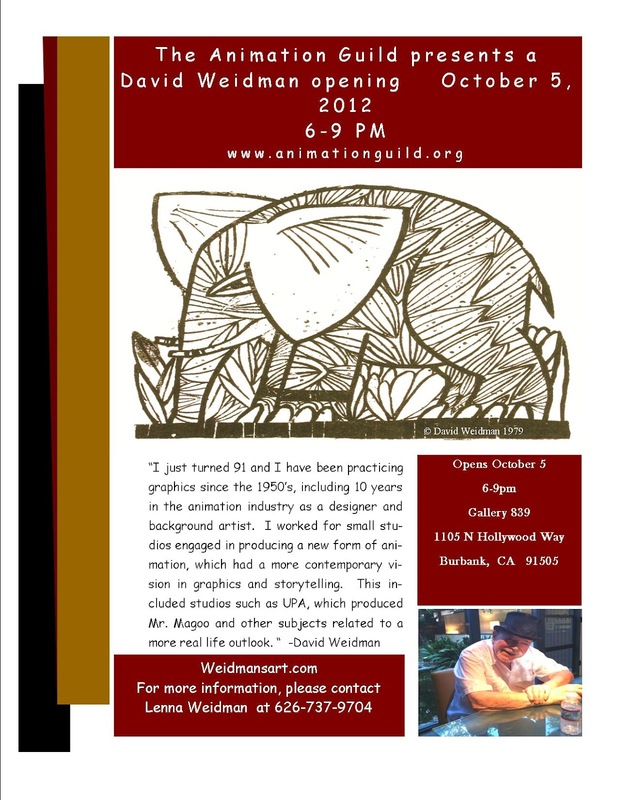 If you're in Los Angeles, it's definitely worth your time to stop by and meet David in person and check out his work. 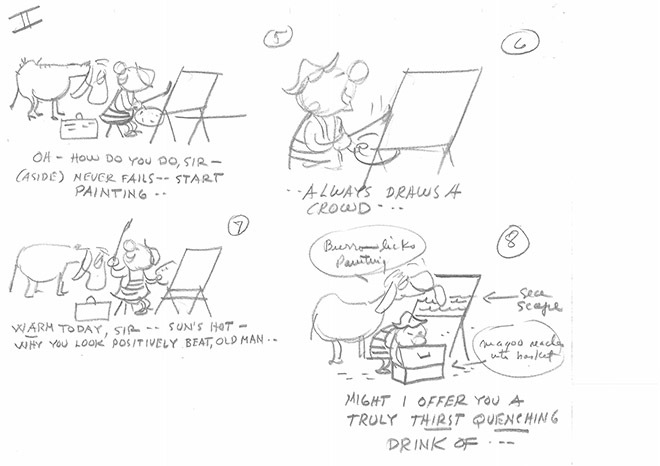 If you would like to read more about David and his work on Christmas Carol, follow this link. If you would like to order a book featuring his serigraphs, try this link. And if you can't make the event but would still like to buy a print, go here. Hope to see you there! 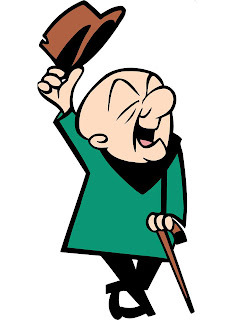 Last January, I mentioned that there would be several Magoo related items being released this year. 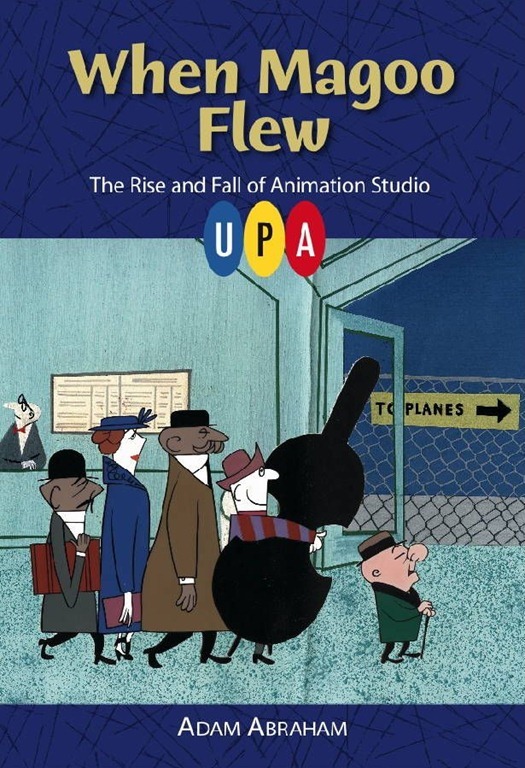 The first was the seminal history on the UPA studio, When Magoo Flew, by Adam Abraham. 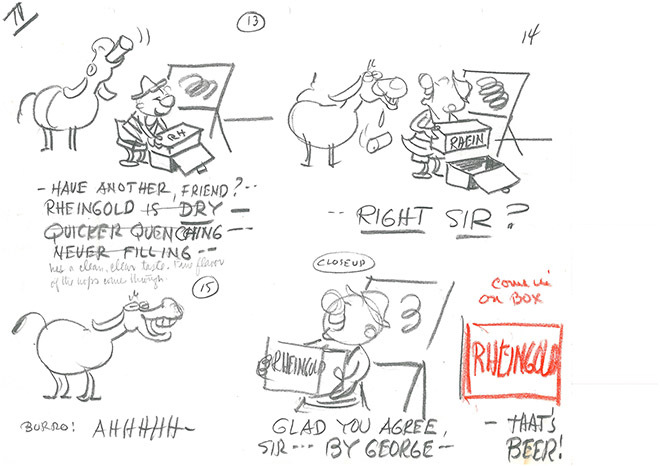 It tells the story of the unique studio that revolutionized animation design but was plagued by indecision, weak stories and poor production management, all of which eventually did it in. 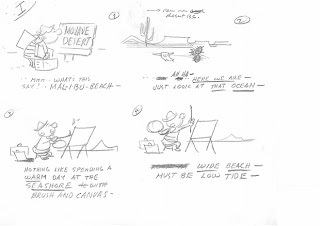 While the studio eschewed what it felt were the rigid formulas of the other studios' output, UPA was no less rigid in it's ideological viewpoint; any mention of Warner Bros. cartoons, for example, was strictly verboten. 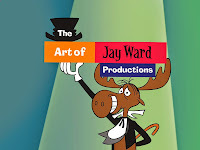 Bill Scott, head writer for Jay Ward, who wrote for both Warner Bros. and UPA, concurred: "To begin with, you never mentioned Warner Bros.! The kiss of death at UPA was to be considered a Warner Bros. writer." 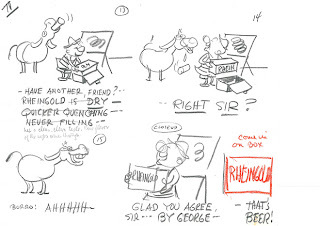 Gerard Baldwin, in his upcoming autobiography, recalls how Chuck Jones, who had directed an early UPA effort, Hell Bent for Election, eagerly screened his first Roadrunner film, Fast and Furryous, for the UPA artists to deafening silence. 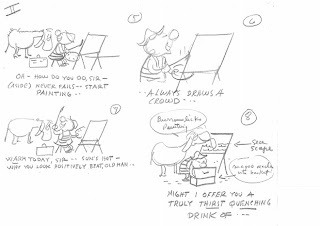 The audience filed out silently and Jones slunk back to his car, alone, film in hand. 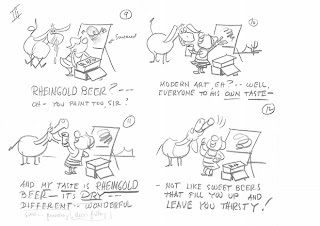 It also appears to have been a studio not for the faint of heart, at least if you were in the top echelon of artists. 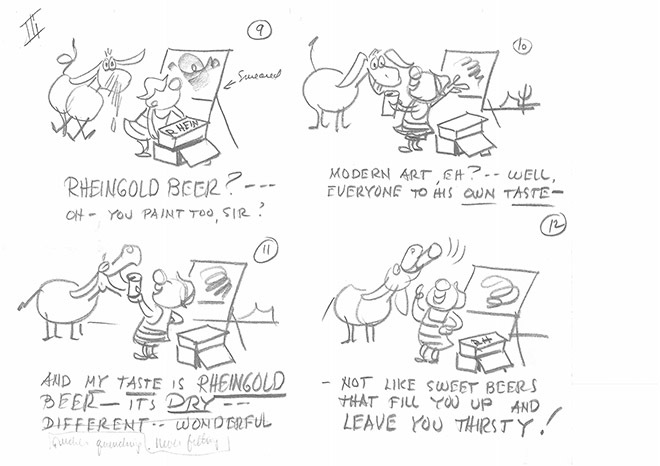 While the artists were outspoken in their opinions of the other animation studios of the time, they reserved the long knives for themselves , often turning on each other through political jockeying and power plays. Many consider Hank Saperstein’s ruthless takeover of the company as the destruction of a once great enterprise but this book makes it clear that the foundation for its demise was in place long before then. Highly recommended. 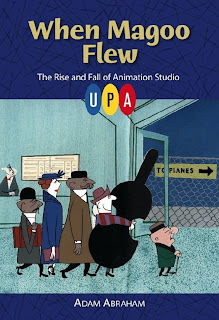 Another new release for this year was the UPA boxed set, a retrospective of all the studio’s non-Magoo cartoons (although it does include Magoo’s first cartoon, The Ragtime Bear). The UPA library has been difficult to find on video and no complete collection of the studio’s cartoons has ever been released before. 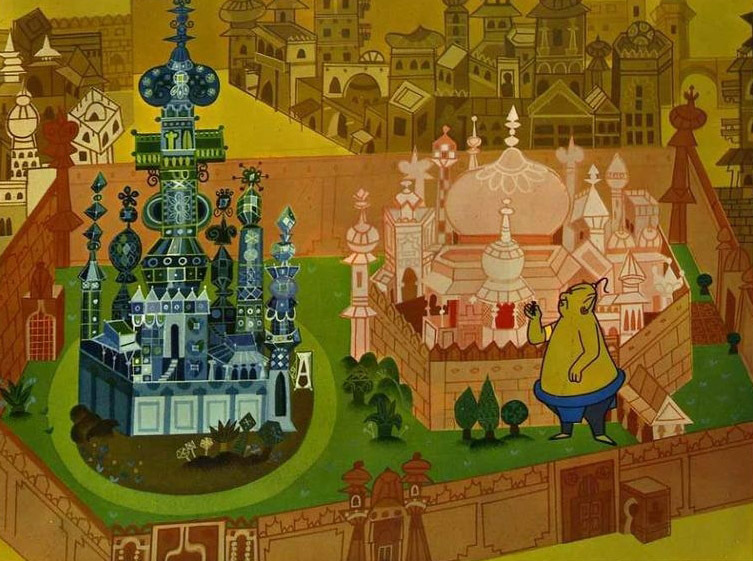 The set is a great companion piece to Abraham’s book as it provides a visual counterpart to his text and illustrates both the strengths and weaknesses of the studio’s theatrical output and makes it clear that UPA's reputation was made off of a surprisingly small group of films. 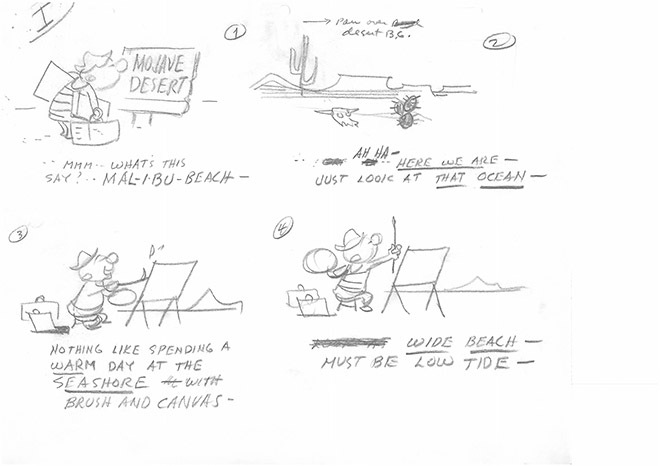 Despite this, the studio's impact on animation design continues to reverberate today. Most of the transfers are gorgeous, allowing a viewer to better comprehend the design and color that made the studio so renown. 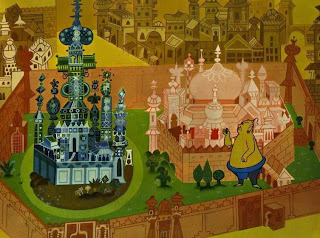 Last but not least was a boxed set of the complete theatrical Magoo cartoons including his feature debut, 1001 Arabian Nights, which has been long out of print. Unfortunately, this set, which was scheduled for release first in February, then June and finally December, has been pushed back yet again and will not be released until sometime next year. 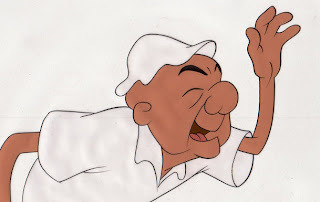 The good news is that the delay is due to the fact that all the cartoons are being digitally remastered from the original negatives and it’s taking Sony longer than originally anticipated. 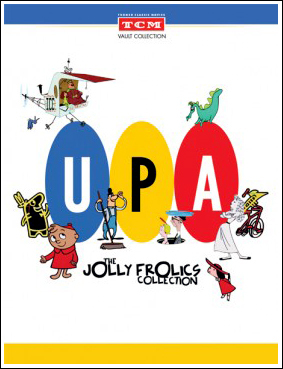 However, if the UPA boxed set is any indication, it will be worth the wait. I will update this blog when there is more news to report on the collection.